Durable, good-looking jeans have been the number one pants choice among all skateboarders for decades. Levis, always on the forefront of fashion, recognized an easy market for them to break into. Voila: Levis Skate, one of Levis private labels focused 100% on the needs of skateboarders. 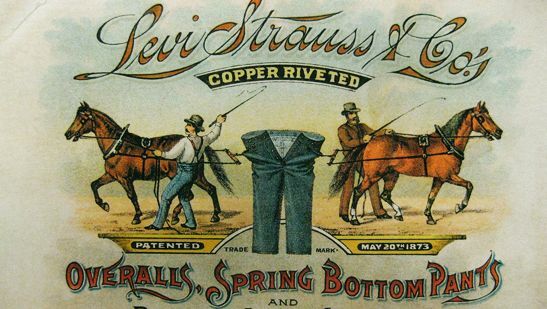 Levi Strauss & Co has been making clothing for over 160 years. They started off making clothes for gold diggers. Like, literal ones, not trophy wives. By 1920, jeans had become the labels number one product - and still are to this very day. The Levis first skateboarding collection was released in 2014. Nick Rendiz and Adam Binetter are the designers behind the label. Function over fashion is the name of the game. The jeans models 504, 510, 511 and 513 come in different washes and have stretchy fits, reinforced seams and are made from high-quality denim. Levis doesnt fund an expensive skate team, but rather invest their capital directly in local skate parks in developing countries and social projects. That was part of the inspiration behind the Spot Delivery Tour, which brought Levis Skate and TITUS together to work on different obstacles within Germany. The Levis Skate collection is only available in genuine, authentic skate shops. If you buy a pair of their rugged denim, you deserve to have a rugged skateboard to go with them.